Now a successful photographer living under the name Naomi Carson, she has found a place that calls to her, a rambling old house in need of repair, thousands of miles away from everything she's ever known. Naomi wants to embrace the solitude, but the kindly residents of Sunrise Cove keep forcing her to open up-especially the determined Xander Keaton. Heroine is very easy to like. Great narration. Very original plot. I just stumbled onto this author coming from Sandra Brown novels and this book was absolutely incredible. It was like watching a movie in my imagination. Amazing writing and a great story! 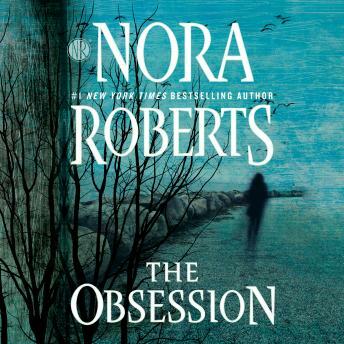 My favorite Nora Roberts book so far. I didn't want it to end. This is the perfect audiobook for all types of readers. Love the story! Hate the book has so much cursing!!! That's the only negative thing about it. As an avid audiobook listener on my daily commute I can say hands down this was one of the best! I’m just so sorry it’s finished !! Eh.....I usually really enjoy Nora Roberts. However, The Obsession was JUST ok. Throughout the book, I found myself getting bored and thinking about other things. Like other reviews mentioned, there was a bunch of unnecessary overly descriptive chapters. If you’re new to NR - start with Shelter in Place. A much better read. Fantastic read. Loved the characters, the story, and most of all Tag, a special dog! I felt the narrator sounded like a chipmunk and read just as quickly as one. It was not enjoyable to listen to the story at the time, however I liked Noah Roberts words enough to push through the narration to get to heart of the story and listen through the whole thing! Great story!! !